The research has given more than 500 patients access to free and advanced medical treatment and an improved medication regimen that has ensured a better quality of life. By participating in these clinical trials, it is also the company’s goal to help the medical community continuously gather pertinent information about diseases. We believe that it is only through continuous education and research that we can only fully understand the disease, which will hopefully lead us to the ultimate goal – a cure. Moti Ramgopal MD FACP FIDSA Dr. Ramgopal is the Founder and Director of Midway Research Center, a Consultant Physician/Director Associates in Infectious Diseases; the Founder of the not-for-profit Midway Specialty Care Center www.midwaycare.org; an Asstistant Professor Medicine Florida State University Medical School; and the Founder of www.Asvins.org Dr. Moti Ramgopal received his medical degree from University of the West Indies Faculty of Medical Sciences and has been in practice for more than 22 years. Dr. Ramgopal is certified by the American Board of Internal Medicine, Board Certified in Infectious Disease, Fellowship trained in Infectious Diseases, and a former Certified Principal Investigator for clinical research. His www.midwayresearch.org Midway Immunology and Research Center clinical team treated 300+ HIV and Hepatitis C patients for free at a savings to the community of more than $5,000,000 to date, giving patients access to cutting-edge treatments not available to the general public. 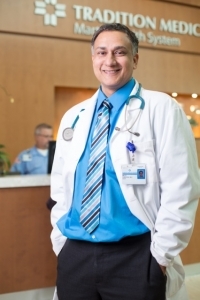 Dr. Ramgopal was awarded the Top Physician honor by Treasure Coast Newspapers in 2014. He founded the 501 c-3 Midway Specialty Care Center the same year to enhance access to treatment for all patients living with HIV. At the center, the care team is wholly accountable for a patient’s physical and mental health care needs, including prevention and wellness, acute and chronic care, behavioral health care services, medicine management, an in-house pharmacy, and nutrition services. Dr. Ramgopal is also recognized as a top Infectious Disease Doctor in the country by US News and World Reports. Dr. Ramgopal’s organization Asvins.org is a collaboration of all the practices with one focus: Treat all needs of the patient so they can live a better life. Dr. Moti Ramgopal is affiliated with multiple hospitals in the area, including Lawnwood Regional Medical Center, St Lucie Medical Center, and Martin Health Systems. After moving to Florida from Maine in 1989, Dr. Brenda Jacobs witnessed the great demand for nurses and decided to go back to school for nursing. She received her BSN and MSN from Florida Atlantic University in Boca Raton. Brenda worked as an ICU nurse for 4 years prior to joining Midway Immunology and Research Center in 2002. In 2013, she obtained her DNP from University of Florida. 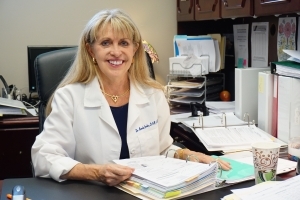 She specializes in the care of HIV/AIDS and Hepatitis C patients. Brenda has been instrumental in helping Dr. Ramgopal establish and expand Midway Immunology and Research Center. Brenda is a dedicated nurse practitioner who is focused on improving the access of care for the HIV/AIDS community and decreasing the stigma of HIV. She is inspired by the opportunity to build relationships and make differences in peoples’ lives by helping them to obtain a better quality of life. Originally from Wilmore, Kentucky, Jennifer moved to Florida in 1988. Prior to becoming a medical assistant in 2010, Jennifer’s career was centered on various care-taking positions, including working with abused children and special-needs adults. In 2011, she joined Midway Immunology and Research Center as a Study Coordinator. Jennifer’s genuine compassion and southern disposition provide an atmosphere of comfort that patients desire and deserve. Her effervescent and bubbly spirit, combined with her dedicated professionalism and willingness to help others, has made her a true asset to our company. Carly is a Vero Beach native who has worked in the healthcare community in Fort Pierce since graduating from college in 2009. She attended University of Central Florida where she obtained a bachelor’s degree in Health Information Management. Since joining Midway Immunology and Research Center as a Study Coordinator in 2013, Carly has added an enthusiasm to our company that patients and coworkers appreciate and enjoy. In addition to her cheerful personality, Carly possesses strong communication skills, an exquisite attention to detail, and an innate ability to be warm and compassionate.